Rediff.com » News » How has the world's meat consuming habits changed? How has the world's meat consuming habits changed? Humans have hunted and killed animals for meat since prehistoric time. Meat is rich in protein and there are different varieties of meat consumed by people. The above map shows the highly consumed meat varieties all over the world from 1991 to 2015. The data is taken from Organisation for economic Co-operation and development. The time period has been divided into intervals of five years. The highly consumed meat variety is calculated by the kilogram of meat variety consumed by per capita. For each time interval of five years, the kilograms of meat consumed by per capita in each year is added to give the total kilograms of meat variety consumed in that particular interval of five year. The meat varieties are poultry, mutton, beef and pork. In some countries they had consumed two varieties of meat in equal quantities. Mutton is highly consumed in African countries like Nigeria, Egypt and Sudan. Pork is highly consumed in countries like China, Japan, Philippines and Vietnam. From 1991 to 1995, beef is widely consumed in countries like Brazil, Australia, India, and Pakistan. In India from 1991 to 2005, beef was highly consumed, but from 2006 it has changed from beef to poultry. Similarly, the countries who consumed beef in earlier times changed their meat consuming habit to poultry. The above chart compares meat consumption in India to the world. The beef and pork consumption in India has gradually decreased whereas the consumption of poultry has increased. For the world, poultry and pork consumption has increased gradually but the consumption of mutton has decreased. 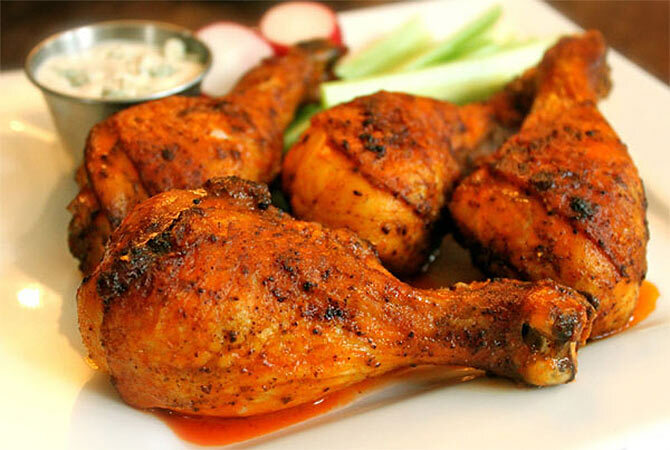 The widely consumed meat variety all over the world including India is poultry.